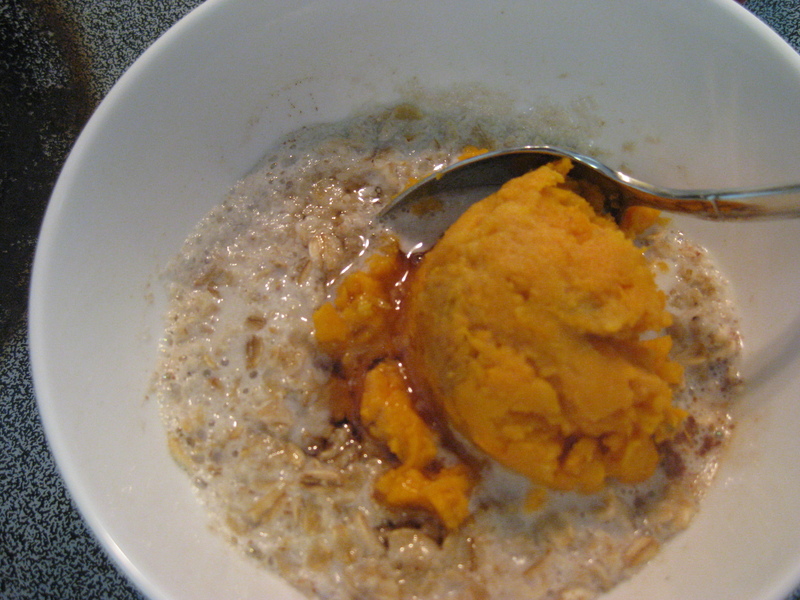 Looking for a good use for a little bit of canned pumpkin? This recipe uses only half a cup, and it’s combined with applesauce for sweetness. 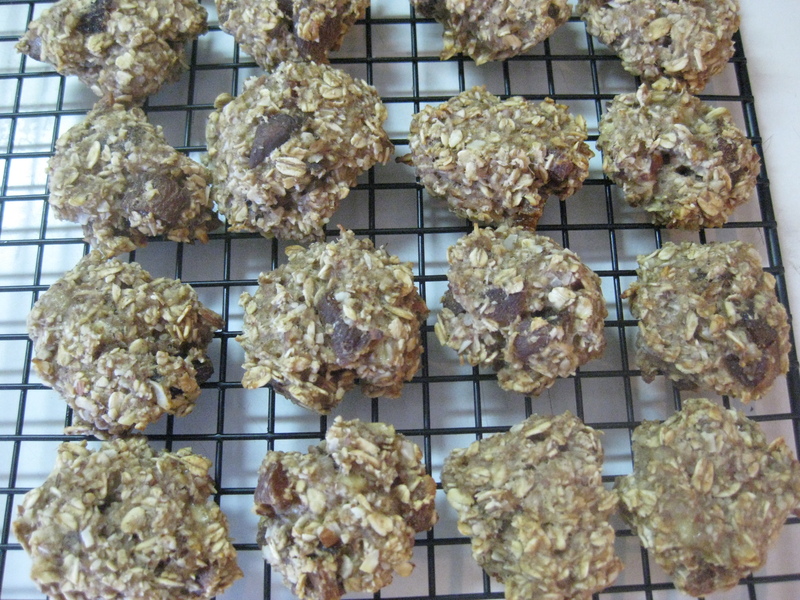 I tried several variations on this recipe, and this version had the best texture. Adding chopped apples never led to a good result, but use chunky applesauce if you’re looking for a bit of fruit in your muffins. 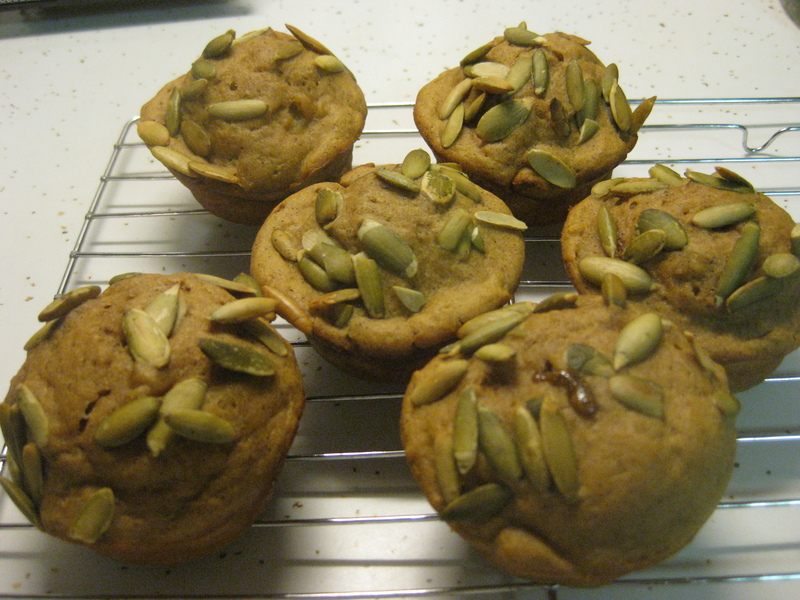 These are low in fat, and the sprinkle of pumpkin seeds makes them feel special. If you don’t have any seeds, though, chopped almonds would work just as well. Either crunchy topping will complement the spices and the soft, carby muffin goodness. Preheat oven to 375 degrees. Spray a 12-cup muffin pan with cooking spray. In a large bowl, beat eggs lightly. 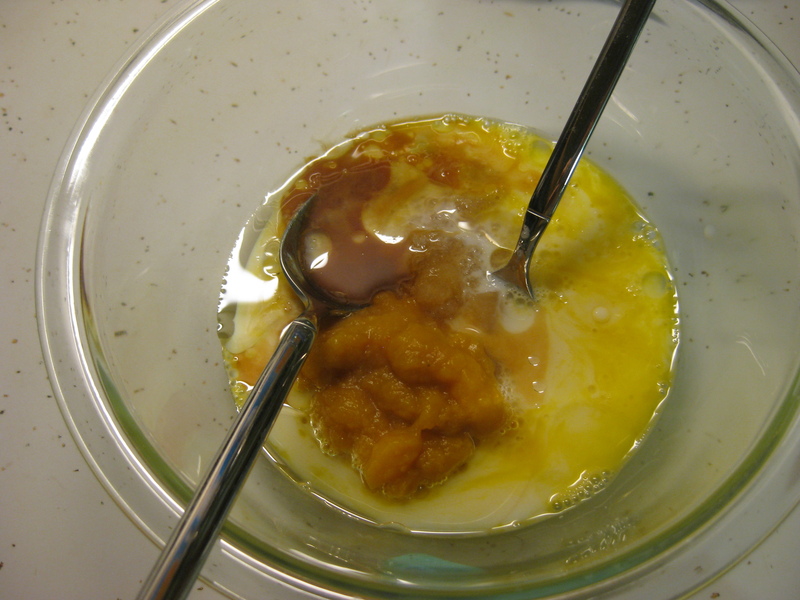 Mix in the oil, pumpkin, applesauce, milk, and vanilla. 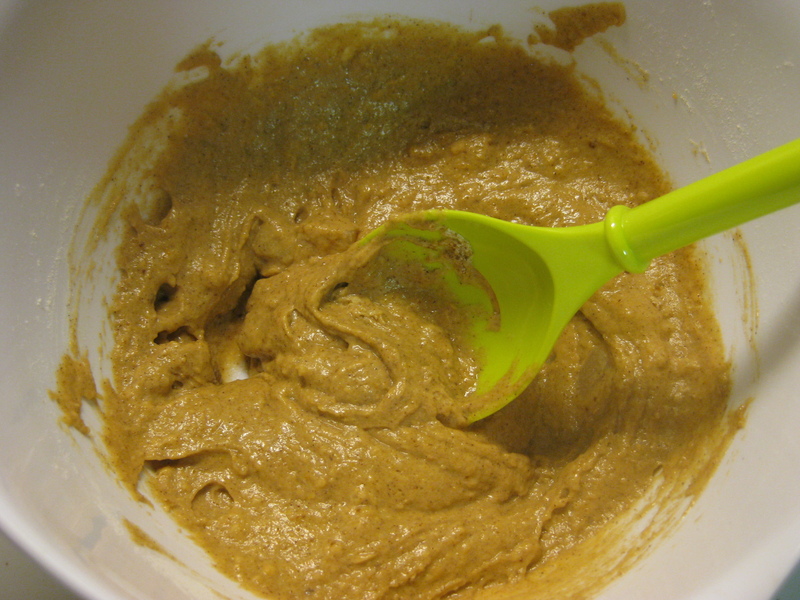 In a separate bowl, stir together both flours, brown sugar, baking powder, salt, and spices until blended. Stir the dry ingredients into the wet ingredients just until incorporated. Pour a scant 1/4 cup of batter into each muffin cup. 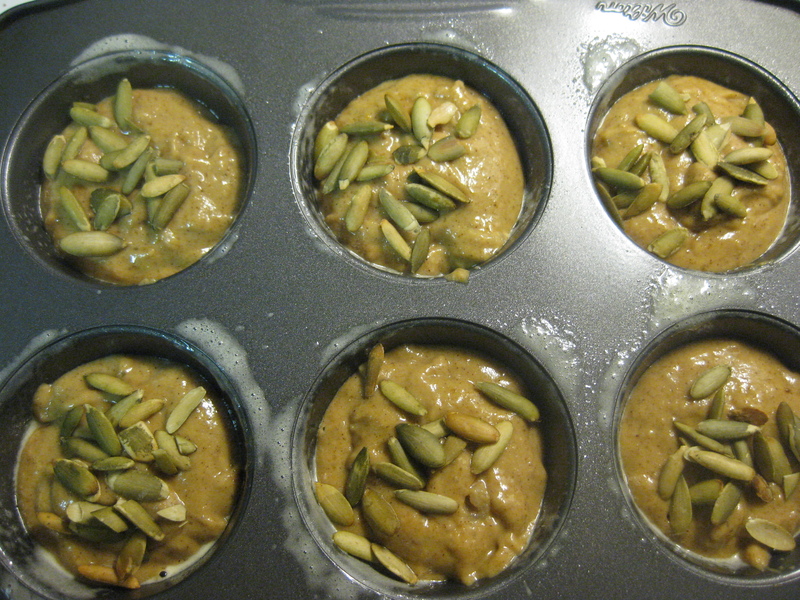 Sprinkle the surface of each with pumpkin seeds, and press them gently into the surface of the batter with your fingers. Bake at 375 degrees for 18 to 20 minutes, until a toothpick inserted into the center of a muffin comes out clean. I was holding on to this recipe until I felt that true autumn feeling, and it finally happened today. As I drove around my new neighborhood and found a road that looked downright rural, leaves of many colors littered my windshield. It’s pumpkin spice season! I often use sweet potato instead of pumpkin in baked goods because the potato leftovers are more versatile than the leftover canned pumpkin. Sweet potatoes take more time, though, since you need to microwave and peel them. The taste is similar, so use whichever item you prefer. 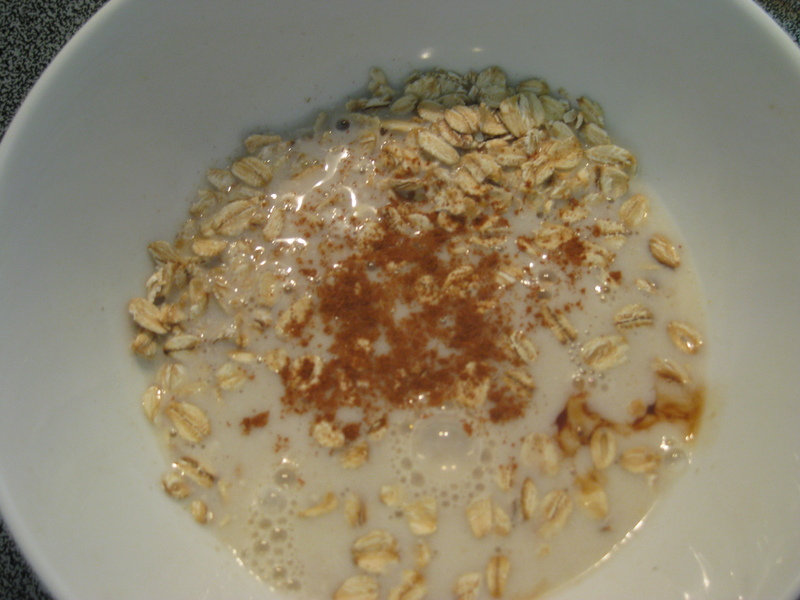 Combine the oats, milk, cinnamon, and vanilla in a medium bowl. Microwave for 2 minutes. Add the sweet potato and maple syrup and stir. Microwave for 2 more minutes, watching the bowl carefully for overflow. Stir and serve topped with sliced almonds, as well as more cinnamon and maple syrup to taste. When I received small pickling cucumbers in my Boston Organics produce delivery, I knew I wouldn’t be making any vinegar-soaked, acidic pickles. Cucumbers aren’t my favorite salad addition, either. 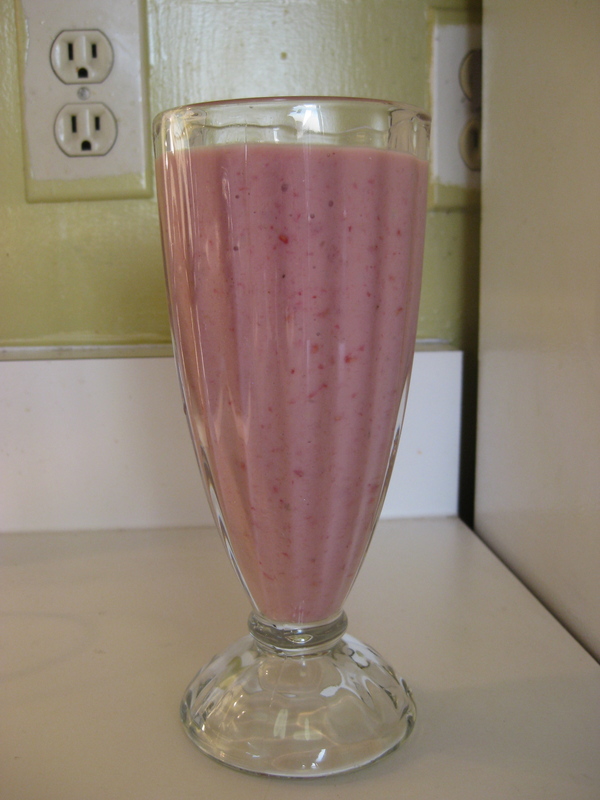 But they add a surprising flavor to smoothies without being strong enough to overpower the sweetness of the fruit. 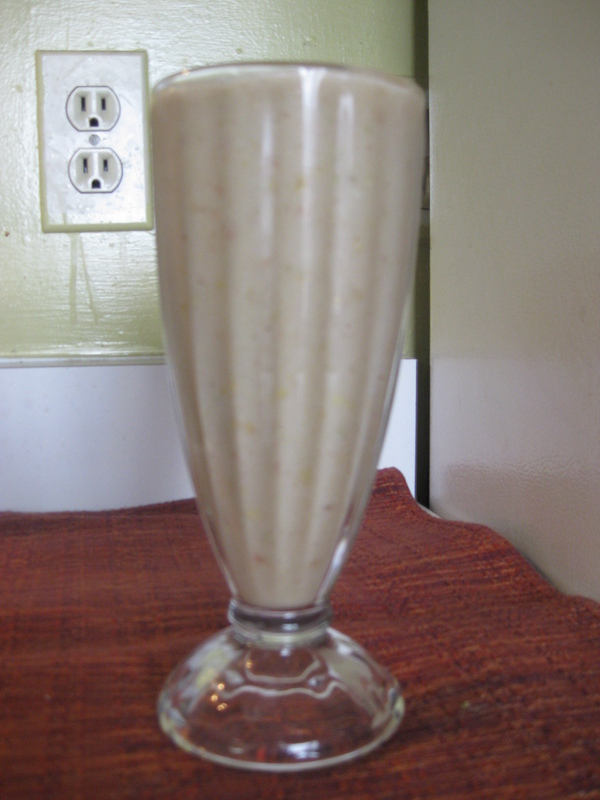 This is one of the more unusual smoothie combinations I’ve tried. Since pineapples and most berries are too low in pH for the low-acid diet, I have to get creative! The cinnamon and ginger were a nice touch here, and the unexpected flavor combo worked for me. Try adding a spoonful of almond butter if you’re looking for a more filling, protein-packed snack. 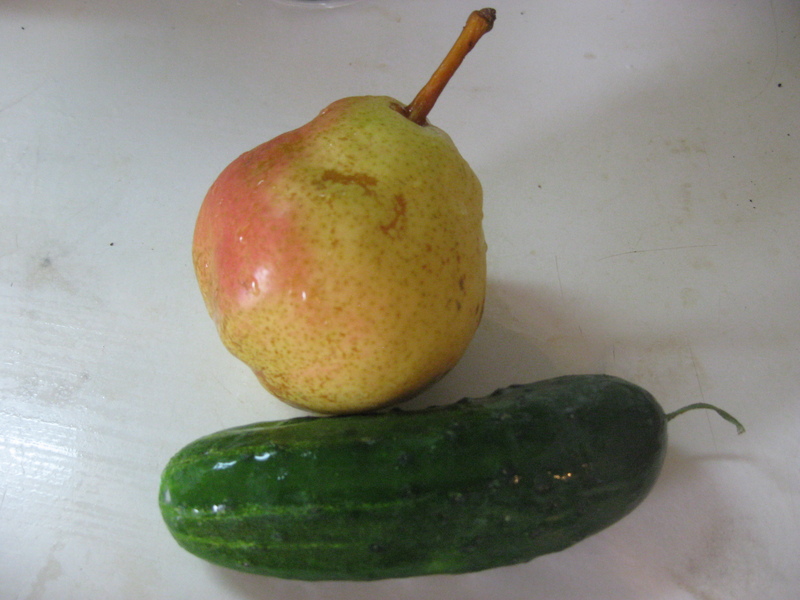 Peel the cucumber, and use a small spoon to remove the seeds. Roughly chop the cucumber flesh. 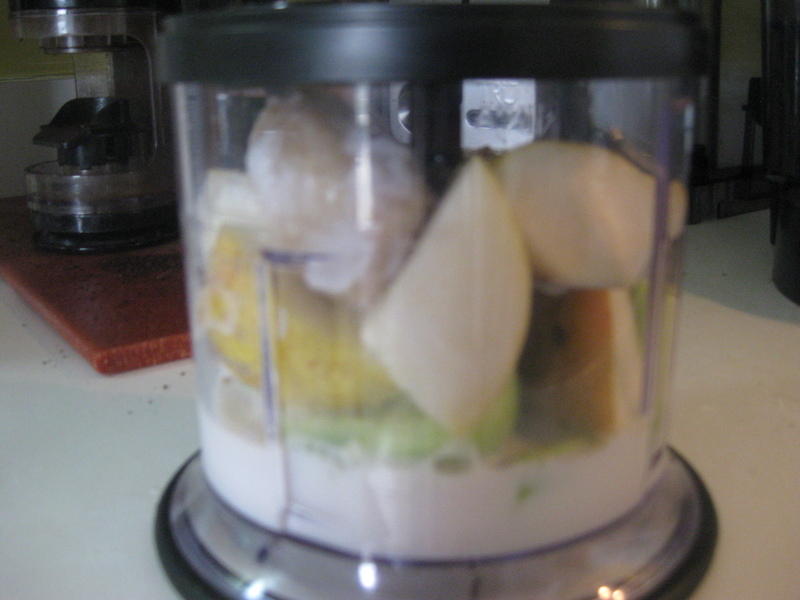 Add the cucumber, pear, banana, and milk to a blender or mini-chop. Blend for about a minute until smooth. Add cinnamon and ginger to taste. Pulse to combine and serve. I wouldn’t call these cookies, but they satisfy a sweet tooth and come in cute little packages. 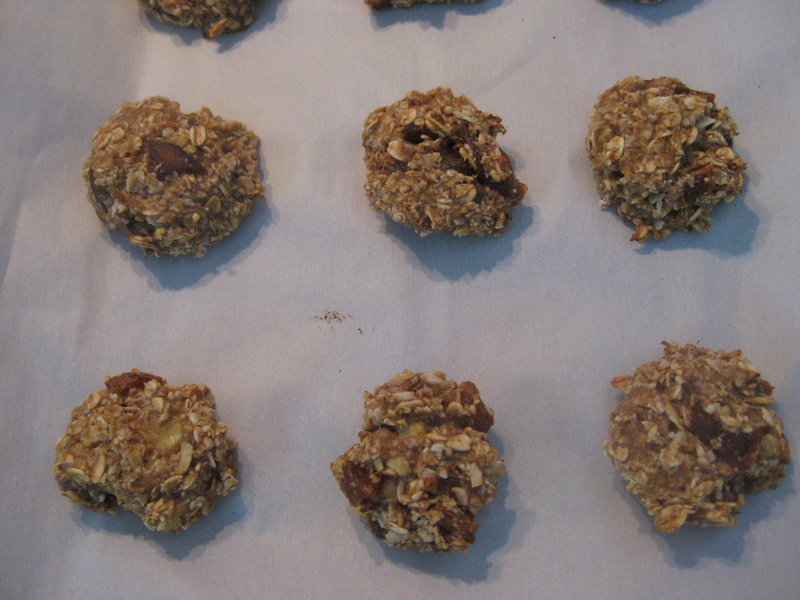 The texture is crispy on the outside and oatmeal-like on the inside. This is the kind of snack I would serve to my all-female book club, but it probably wouldn’t fit in as well at a Superbowl party. Be sure to use Turkish apricots if you’re worried about heartburn. If not, any dried fruit will work here. 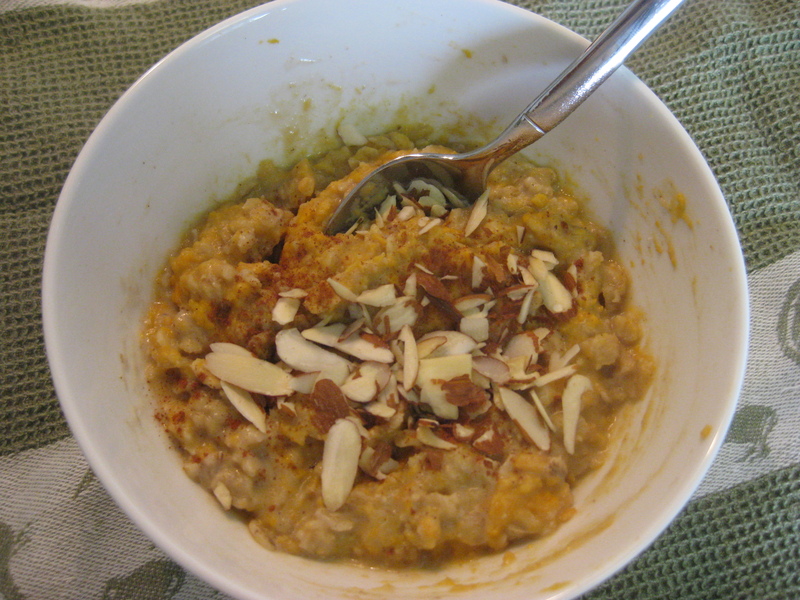 If you want the bites to be more gooey and less oatmeal-like, try reducing the oats to 1 cup. This recipe is very forgiving, so throw everything in the bowl and bake! Preheat the oven to 350 degrees, and move the racks to the top and lower thirds of the oven. Line two baking sheets with parchment paper. 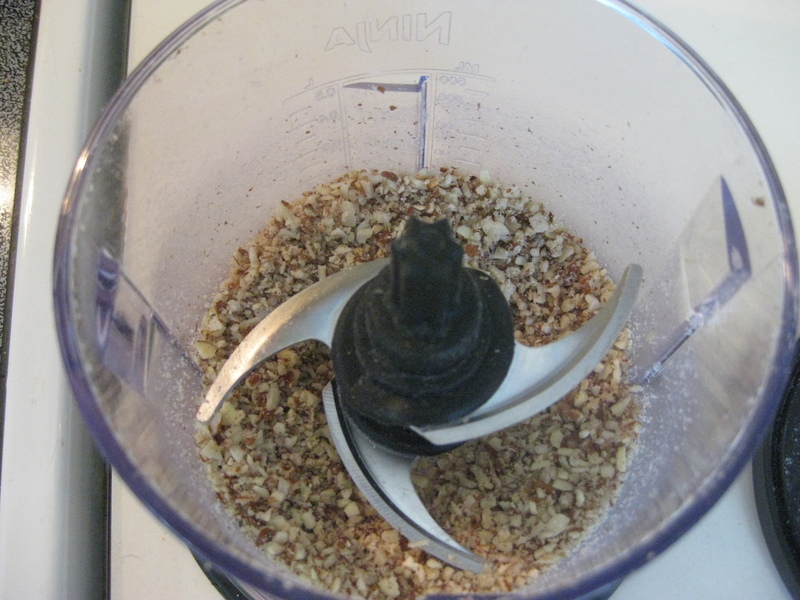 In a food processor, pulse the oats and nuts until finely chopped. Mix all of the ingredients in a large bowl until well combined. 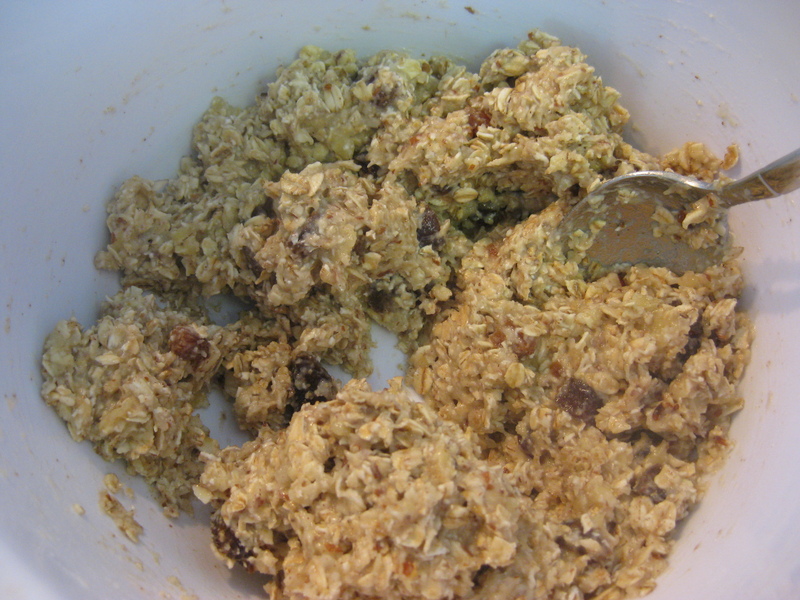 Scoop 1 heaping tablespoon of dough into your hand and roll it into a ball. Place it on the parchment paper and flatten slightly. Repeat with the remaining dough. Bake for 15 minutes at 350 degrees. Then switch the cookie sheets and bake for 13 to 15 more minutes, until the bites are golden brown and the air in the kitchen smells toasty. Move bites to a cooling rack. Once cooled, store in the fridge or freeze for later. As is obvious from the lag between blog posts, I haven’t been in the kitchen much this summer. The large box of produce I get delivered every other week from Boston Organics seems to make me cook less; I’ve been eating a lot of simple veggie wraps, salads, and smoothies. I’ve heard that avocado is delicious in smoothies, but I don’t normally buy high-fat avocados. 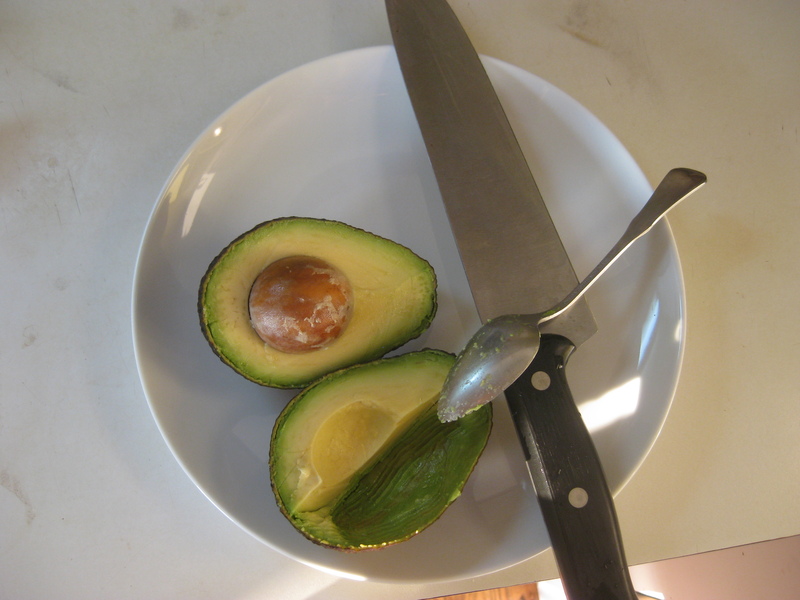 After getting one in the produce delivery, I experimented with eating a quarter of an avocado at a time. With a relatively low-fat meal, it didn’t cause any heartburn. To store the rest of the avocado between uses, leave the extra flesh in the skin and wrap the whole thing tightly in plastic wrap. Be sure to push the plastic into empty space in the skin. Place the first 6 ingredients in a blender or food processor and pulse until smooth. 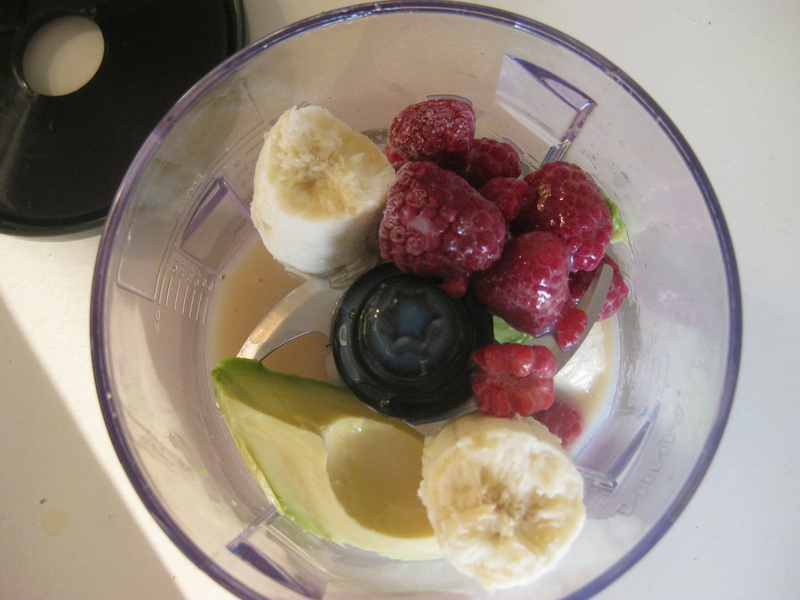 For an extra-thick smoothie, add yogurt or more banana and blend again.